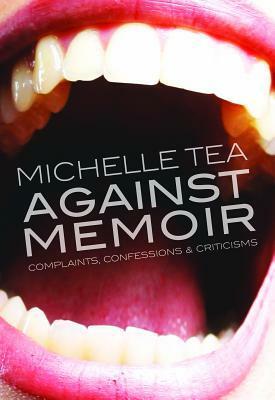 What should be a lively, engaged Sunday afternoon is in store as Michelle Tea is here for her new book, Against Memoir: Complaints, Confessions & Criticisms (Feminist Press), to be joined in conversation by Seattle poet/essayist Sarah Galvin. “From its opening sentence to its finish, Michelle Tea’s Against Memoir is a bracing, heaven-sent tonic for deeply troubled times. Its clarity, hilarity, range, nonchalant brilliance, and decades of experience in ‘art and music, love and queerness, writing and life’ remind me over and over again of the adventure, the party of it all—the joy of raucous thinking and loving and making—that’s fundamentally ours.” —Maggie Nelson. "These essays blow my mind with their algebraic rhythms by which Michelle Tea manages pain and bliss. They take turns erupting in a pulpy and marvelous parade: landscape, passion, morality, family, cigarettes—each cited frankly and exquisitely like a smart kid with a dirty crayon explaining to us all how she sees god." —Eileen Myles. 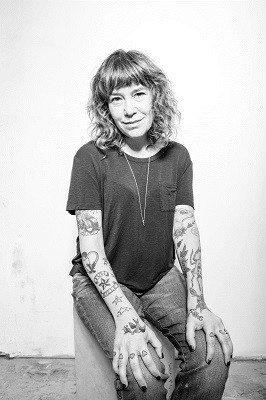 Michelle Tea is also the author of Rent Girl, Valencia, and How to Grow Up, and the creator of Sister Spit. Sarah Galvin’s books are Ugly Time, The Three Einsteins, and The Best Party of Our Lives.